As part of the survey work we are undertaking, we have recently had a full condition report carried out on the organ at S. Paul’s. 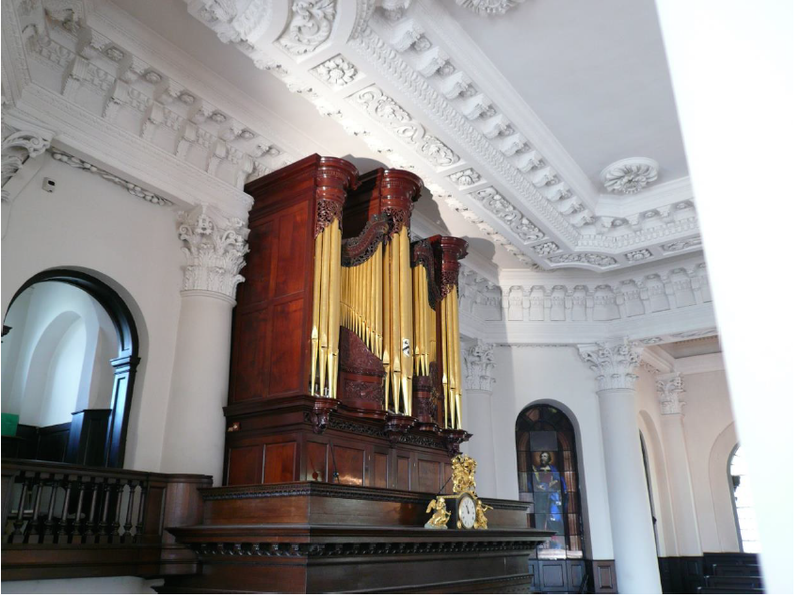 The organ was built in 1745 for the church by an unknown maker but supplied by Thomas Griffin. 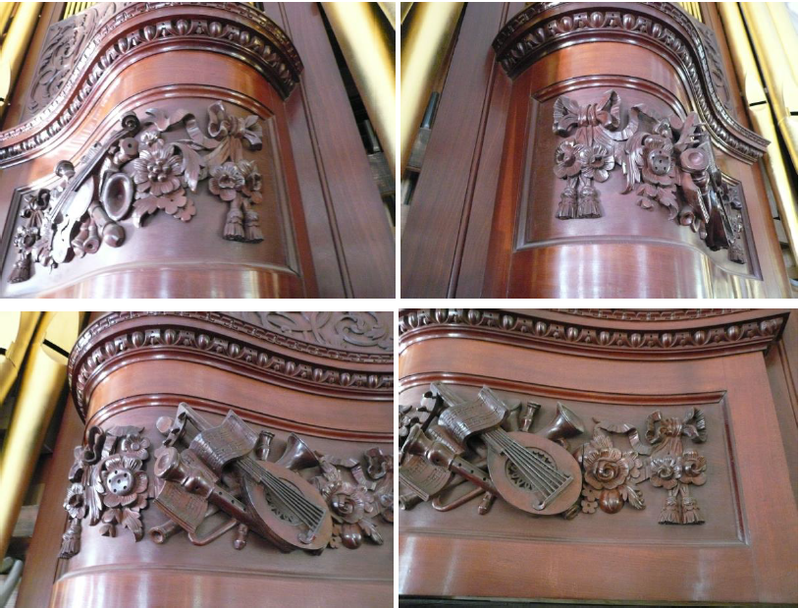 The mahogany case and façade pipes are the only remaining original parts and William Drake restored them in 2004. The aim of the survey is to help establish any difference in the recorded condition from before and after the Thames Tideway works have been completed. For this reason a second condition survey will be required after all works have been completed. 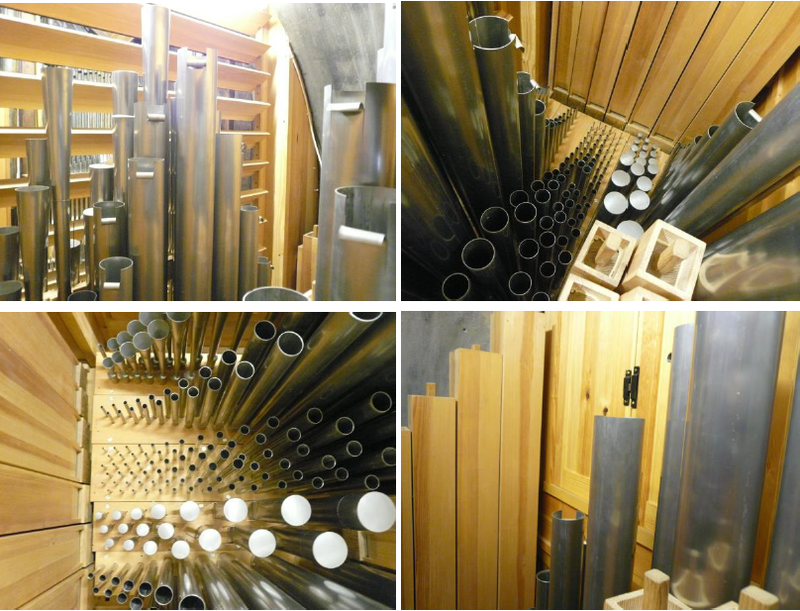 Some of the envisaged threats to the organ during the construction period will be dust and movement. The dust will affect the speech and tone and pitch of the pipes. The movement may cause breakages to case work and vibrations may cause parts of the organ to collapse. Dust monitoring measures have been added with square cut out black card places in several areas of the instrument. The state of regulation of stop action and keyboard action were also recorded.